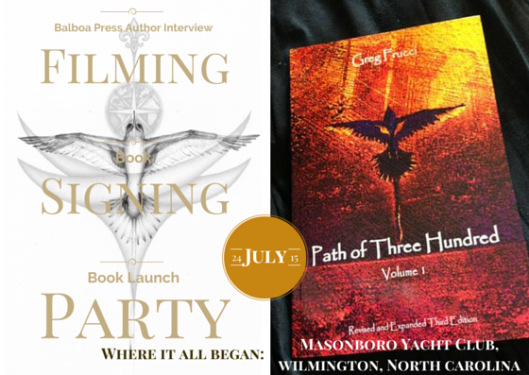 This is the first Book Launch Party…I never had one for the first two editions…those two editions were more of an experiment…a dipping of my toes into the vast ocean of writing. Much has changed since then. I now have a publisher, Balboa Press, a Division of Hay House for this Revised and Expanded Third Edition. Balboa has arranged for a videographer to film an Author Interview of me for the book. The interview will be held at Masonboro Yacht Club & Marina some time on the 24th, but as of yet I do not know the time or even who the videographer is.